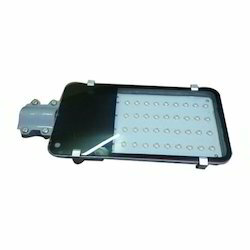 We are a leading manufacturer, exporter and supplier of High Power LED Based Street Lights that are extensively used in various applications in an efficient manner. 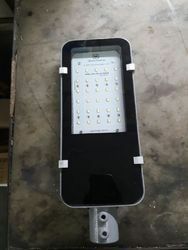 Our expert team of professionals has designed these Led based Street Light for a simple replacement of already existing lamp unit without causing any expense and disruption of shifting the lamp post or wiring already done. 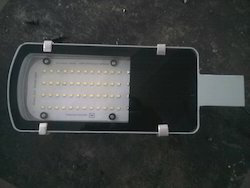 30 Watt LED Street Light offered comprises advanced LED based street lights that are efficient in usage and provide for simple replacement of existing lamp units. 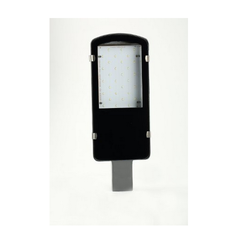 These LED street lights feature use of efficient light-emitting diode (LED) of 30 Watts that requires input voltage of 85-275 V AC and has power factor of >0.9 and harmonic distortion of <20%. Some of its other working features include power efficiency of 85%, Led make of Samsung/ Seoul/Edison/Osram, lamps efficiency of > 90%, system resistance of 1.4 C/W and working life of > 50000 Hrs. For longer service life, the lights also come with pressure die casted aluminum finish with Ip rating of IP60. Working Life : > 50000 Hrs. 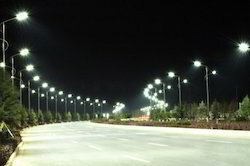 With the acute power crisis being faced in the present day world, the LED Street Lights have come as an ideal solution to tackle the situation. We are involved in the manufacture, export and supplying of a wide array of led street lights to our clients across the globe. These lights collect the solar energy and help producing the light. 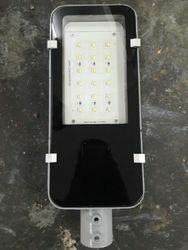 We make available these led street lights in varied colors, designs, and various other specifications. These street lights are precision engineered out of high grade raw material and is well acclaimed for its attributes by all our clients. 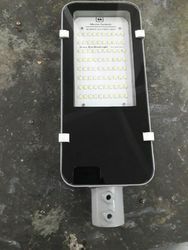 We are a reputed manufacturer and supplier of a wide collection of 30 Watts LED Based Street Light to our customers in the domestic as well as global markets. 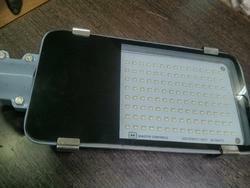 This product comes with the Item Code: MC-30 SL and is immaculately designed and is strongly built and sturdy. This range is aluminum cast. 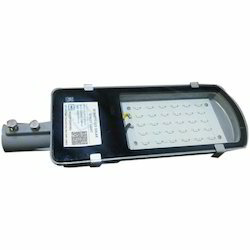 We supply the Solar street light in specifications like 12 V ready and 220V ready. Led Seoul/Edison/Nichia. 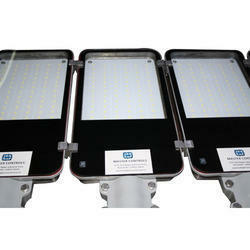 The lumens output of this product is 3300 Lm (min.) and possesses a warranty of 3 years. 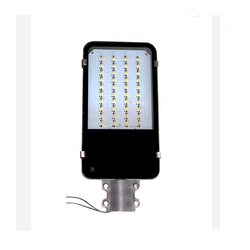 With the assistance of well-informed personnel, we are indulged in offering our patrons a finest-class quality array of 36 Watts LED Street Light. In tandem with the international quality principles and standards, our offered collection is analyzed strictly on many restrictions to verify their excellence. Highly appreciated for their perfect finish, these are offered by us at low rates. Frequency : 50 ~ 60 Hz. Working Life: > 50000 Hrs. 36 Watts Led Street Light with Dusk To Dawn offered is a fine selection of LED street lights that match up with defined industry standards and come fitted with superior lens support for providing optimum light beam. Coming with weather-proof construction, these are perfect to be used in areas like lane, parking area and other places. As optimum functioning solar power systems, the LED lights are designed to provide for high light outputs and come in input voltage of 85-275 V AC, frequency of 50-60 Hz, power factor of >0.9, power efficiency of 85% and Led make of Samsung/ Seoul/Edison/Osram. 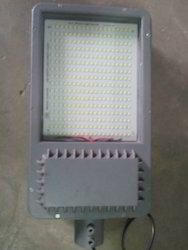 Leveraging on our quality oriented professionals, we are offering LED Roadway Light to our clients. 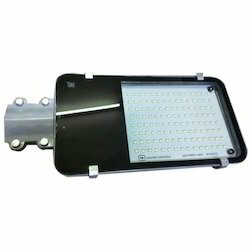 This LED roadway Light is recognized for its excellent quality and high efficiency. Experts do rigorous inspection of offered range before delivering in market. Quality controllers check this to ensure that it is at par with industry standards.